Ali Amin is CEO and Co-founder at UBI Index, a research initiative based in Stockholm, Sweden focusing on benchmarking business incubators globally. UBI Index got recently awarded by the Swedish Governmental Agency for Innovation and Entrepreneurship (VINNOVA) for being a young and innovative company with great potential impact and growth. Prior to founding the company in 2013, Ali was a young entrepreneur while studying MSc. Industrial Engineering and Management at The Institute of Technology at Linköping University. 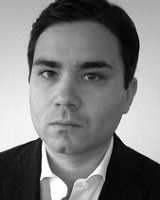 During his student years Ali founded a company focusing on web applications and systems, was President of the Information Committee at Industrial Engineering and Management, board member of several organisations such as a private venture advisory board in Stockholm and also student board member at Mjärdevi Science Park in Linköping. Between the years 2007 and 2010, Ali was the International Sales Director at Keyplan Solutions, focusing on implementing key tool for salesmen out in the field in the FCMG industry, where key clients among others were Wrigley's, Red Bull, Coca-cola and Arla. A serial entrepreneur with broad experience of starting technology businesses particularly arising from university research. Foresaw and proposed the need for a source of seed funding for universities which the Government adopted and launched the first £40m University Challenge Seed Fund. Previously Tony was at SOFTBANK/ News Corporation’s European joint venture fund, eVentures. Prior to this Tony was a Partner in the media and telecoms practice of Arthur Andersen. Before this Tony was a founder member of mobile internet group at Cellnet (now O2) and an executive with Random House responsible for digital ventures. Tony started his career with PriceWaterhouse in London. 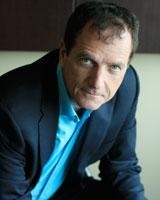 Tony actively serves on the boards of Activate Networks, Babbel, Spacecurve, Tolven & Treato. 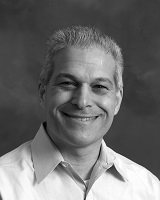 Previously, Tony served as a board director with Babylon (public: TASE), Siperian (acquired by Informatica), Partminer (acquired by IHS), iPhrase (acquired by IBM), Intraspect (acquired by Vignette), and SRD (acquired by IBM) and as a board observer with AllBusiness.com (acquired by Dun and Bradstreet), Business.com (acquired by RH Donnelly) and Netli (acquired by Akamai). He is also an active investor in Palantir, GigaOM, Healthline, Intelligize, FINA, Martini Media, Struq, Ycharts and Seedcamp. Tim is the Director of Enterprise Operations at UCL and also the Director of UCL Advances, the centre for entrepreneurship at University College London. As head of Enterprise Operations since 2011, Tim oversees the resources allocated by the university to business engagement. 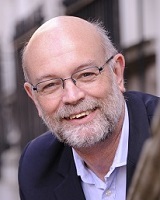 He became director of UCL Advances in 2007 when the centre was first launched and has built it into one of the largest such activities in Europe. Prior to 2007, Tim spent six years running his own business, which helped universities and large corporations to spin-out high technology companies. Tim has also worked as an investment manager at a pan-European investment firm that specialised in early-stage technology. In 2010, Tim started Citrus Saturday, a non-profit enterprise teaching entrepreneurship in schools that now runs in ten countries. He is currently a director of Capital Enterprise Ltd and UCL Consultants Ltd, and is Chairman of the National Consortium of University Entrepreneurs Ltd (NACUE). He graduated from UCL in 1997, is a Fellow of the Royal Society of Arts and in 2014 was awarded the Queen’s Award for Enterprise Promotion for life. Boris Battistini is a VC Associate at Metellus AG, a venture capital firm based in Zurich, London and San Diego specializing in early stage investments in technology and life sciences. Previously, he was a Project Leader for Global Corporate Venturing Initiative with Bain & Company, a Project Manager of the ETH Corporate Innovation Lab and a Visiting Research Fellow at Cass School London. He has extensive advisory experience in the development of innovative start-ups and venture capital activities. His research focuses on innovation, technological change and entrepreneurship. He is a graduate of King's College London and holds an M.Sc. and an M.Res. in Management from the University of London and a Ph.D. from ETH Zürich. Abby Barton is Head of Business Development at Wayra (Telefónica’s Start-Up Accelerator), where she leverages the talent and opportunities within this huge corporate to accelerate the start-ups. She comes from Telefónica where she was Business Manager to the O2 Retail Director and prior to that was Head of O2 Retail Finance. Abby has a strong commercial background, starting her career with 5 years as an accountant for PricewaterhouseCoopers in both London and Sydney. 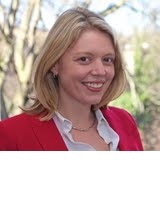 She then chose Retail as her industry of choice and followed this with 7 years at Sainsbury Plc in various commercial finance roles, including Head of Commercial Finance for London and the South. Abby is a qualified ACA and Professional Coach and has a BA from Durham University in Geography and Anthropology. She also has a passion for travel and a strong advocate of women in leadership and entrepreneurship. Gregg is Editor of Global University Venturing, a trade magazine focusing on university-related research, companies, and investments. Gregg comes from a varied journalistic background of science, technology, and finance. When he's not in front of a PC, he can be found on a bike, on a boat, or in another country. 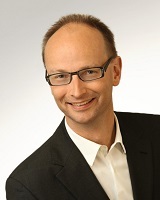 Dr. Carsten Bether, CEO and founder of Kiwigrid GmbH in Dresden, Germany is an expert for “Smart Grids”. After his studies of Business Engineering at the Technical University Dresden, he was working as software engineer and consultant, CTO and founder of several companies within the IT industry. During his capacity as Innovation Manager at T -Systems Multimedia Solutions, Bether took the chance of obtaining the PhD at the universities of Berlin and Stanford alongside his professional activities. With his company founded in 2011 he provides software solutions within the field of energy efficiency. 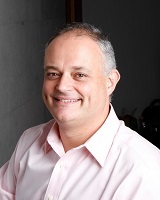 Anthony (Tony) Boccanfuso is President of the Washington, DC based University-Industry Demonstration Partnership (UIDP – uidp.org), a membership organization and “do-tank” comprised of leading innovation companies and research universities. Tony holds a Ph.D. in Inorganic Chemistry from the University of South Carolina and regularly consults for government agencies, non-profit organizations and private firms. 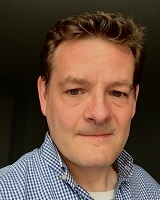 Simon is Innovation Director of SETsquared, the award-winning enterprise partnership of the universities of Bath, Bristol, Exeter, Southampton and Surrey. He is also Director of the University of Bath Innovation Centre which helps accelerate the growth of technology-based companies both from the University’s research base and from the private sector and has founded a portfolio of networks to support business innovation – these include Silicon South West, Low Carbon South West, the open Mobile Innovation Camp, and the Assisted Living Action Network. 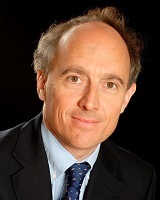 He is a Director of the UK Electronics Alliance, ESCO. Simon leads the Bath Entrepreneurship Programme business plan training course which is based on the practical experience and track record of SETsquared and the Innovation Centre. At Clareo, Mr. Bowman co-leads Clareo’s Corporate Venturing practice area, which is focused on driving innovation, growth and new business creation through partnering with startups & emerging businesses. He has also applied the principles of entrepreneurship and business innovation across a range of contexts. Gerald Brady was appointed Head of Relationship Banking at Silicon Valley Bank UK in January 2014 and is based in London. As Head of UK Relationship Banking, Gerald oversees banking teams dedicated to supporting technology and life science companies, from start-ups through to corporate banking, as well as Private Equity Services, SVB’s fund banking practice, which works with Venture Capital and Private Equity firms. Before returning to the UK, Gerald founded and was Head of the Corporate Venture Capital Group at SVB, where he led a team working with corporate venture and corporate innovation executives at companies such as GE, IBM, Intel Capital and Qualcomm Ventures. Previously, Gerald ran Silicon Valley Bank’s Entrepreneur Services Group, where he led a team of bankers working with start-up companies in the Bay Area, working across energy, life-science and technology sectors. Prior to joining SVB, Gerald held a variety of positions at Siemens USA / Siemens AG, including Director of Investor Relations, acquisition director in the Strategic Planning Group and served as a managing director of Siemens Acceleration USA, the early stage venture capital arm of Siemens. Sir George W. Buckley was Chairman, President and CEO of 3M Company from 2005 to 2012. Prior to 3M, since June 2000, he was Chairman and Chief Executive Officer of Brunswick Corp., having previously served as President of Mercury Marine Group, Brunswick’s largest division. Before joining Brunswick in 1997, he was President of the U. S. Electric Motors Division and the Automotive and Precision Motors Division at Emerson Electric Co. in St. Louis, Missouri. He also served as Chief Technology Officer of Emerson’s worldwide group of motor, electronic drives and appliance-related businesses. Prior to his responsibilities at Emerson, Sir George was Managing Director (President) of the Central Services Division of the British Railways Board in the United Kingdom, responsible for the railway’s 14 manufacturing plants, R&D, all shared services and major construction projects. Sir George is Chairman of Smiths Group plc, Chairman of Arle Capital LLP, Chairman of Expro International and a Non-Executive Director of Technogym. In addition, he is a Member of the Board of Directors of PepsiCo, Hitachi and Stanley Black & Decker. He also sits on the Americas Advisory Board for Deutsche Bank and the Advisory Board for Rothschild North America. Sir George is an engineer by training and holds a PhD in electrical engineering along with four honorary Doctorates and approximately 20 patents. 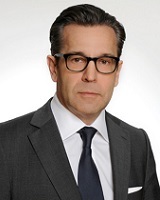 Marc Ceulemans serves as the Head Strategic Venture Capital Fund - Pharma Equities at Novartis Pharma. In addition Marc supports the Novartis Venture Fund on a variety of issues. Before this appointment he held the position of Head of Finance , Global Business Development & Licensing (Novartis Pharma). Prior to joining Novartis Marc was CFO Europe at Johnson Controls and spent several years with Johnson & Johnson in various countries/roles. 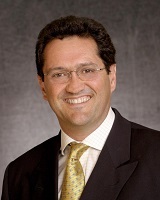 Nicolas Chaudron joined Idinvest Partners, formerly an affiliate of Allianz, in 2001. Since 2006 he has been focusing on the cleantech sector. In 2011, he launched Electranova Capital, a cleantech VC fund managed by Idinvest Partners and sponsored by EDF. He is a member of the European Advisory Board of the Cleantech Group and a founder of the Club Cleantech AFIC (French Private Equity Association). 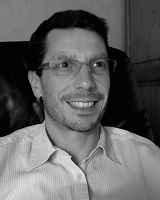 Victor Christou is Senior Investment Director at Cambridge Innovation Capital and a member of the plc Board. Recently, Victor has focused his attention on investing, but he has considerable experience on both sides of the investment table. Immediately prior to CIC, Victor was at pan-European venture capital investors Wellington Partners, where he was a Venture Partner in the Tech Team. Before that Victor founded, built and successfully sold Opsys, an organic electronics business that Victor span out of his research group at the Department of Chemistry, University of Oxford. Victor has a BSc and PhD in Chemistry from Imperial College, London and was a Sloan Fellow in the Graduate School of Business at Stanford University. In the early stages of his career, Victor was at the University of Oxford, where he was a Royal Society University Research Fellow. 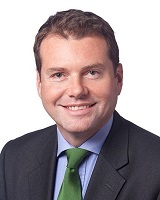 George Coyle started and leads ConocoPhillips Technology Ventures investing activities. He is focused on accelerating the commercialization of technologies that improve the performance and sustainability of ConocoPhillips operations. 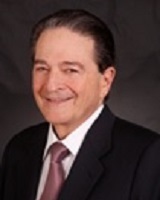 George is a director or observer on the boards of BiSN Oil Tools, Blue Spark Energy, Ciris Energy, Foro Energy, Lance Energy Services, Raptor Oil, Skyonic, Taxon Biosciences, Ziebel, and Zilift. He has over 25 years of experience in E&P and technology commercialization, including being President and CEO of a venture capital-backed company developing and manufacturing composite pipe for the offshore and deepwater O&G markets. George worked 19 years with Chevron, starting as a geophysicist and holding positions of increasing responsibility in exploration, production, business and strategic planning, IT, asset management, new ventures and corporate venture capital. Enrico qualified as a chartered accountant with Price Waterhouse before working in COO, CFO and strategy roles with Clifford Chance, JP Morgan and Merrill Lynch. He has held a number of non-exec positions in technology and entrepreneurial ventures and been director of a financial services software company. Enrico is a member of the Parkwalk UK Technology Funds, the University of Cambridge Enterprise Funds and the University of Oxford Isis Funds Investment Committees. Issam leads BP’s corporate venture capital team (a global team in the US and Europe) and manages a portfolio of over $220m with an objective of creating financial and strategic values. 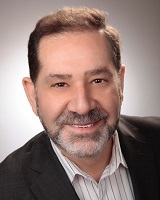 Currently, Issam serves on the board of 5 portfolio companies either as a director or as an observer. Issam also serves as a Co-director of BP MIST Technology Acceleration Center in Abu Dhabi (the first technology accelerator focused on sustainability in the Middle East). Following a short period in academia, Issam joined BP in 1998. Over the past 17 years, Issam served as BP Chemicals Research Scientist and Commercial development manager. He then joined BP Group Technology as a Program Manager /Clean Energy and was promoted to a Technology Principal. Issam became head of BP Ventures in 2011. Gina Domanig is the Managing Partner of Emerald Technology Ventures, a globally recognized investor in the areas of energy, water and materials, having invested in fifty companies to date. In 2000 she founded Emerald as the first independent cleantech venture capital fund in Europe. Gina currently serves on the boards of GeoDigital, SDC Materials and TaKaDu. Previously, she also represented Emerald as a director at Agraquest (acquired by Bayer in 2012) and inge watertechnologies (acquired by BASF in 2011), amongst others. 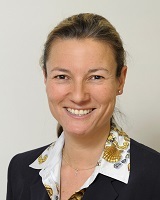 In addition to Emerald activities, Gina serves on the boards of Schweizerische Mobiliar Genossenschaft, Cleantech Switzerland of the Swiss Export Agency and the Advisory Board of Cleantech Group. Gina has over 25 years of international business experience including banking, M&A, strategic development, and venture capital. Prior to starting Emerald, she was senior vice president at Sulzer, a Swiss multinational, responsible for strategic planning and M&A. Gina holds MBA degrees from Thunderbird in Arizona and ESADE in Barcelona and is fluent in English, German and Spanish. 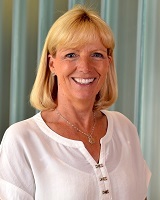 She is based in our Zurich, Switzerland where she lives with her husband and teenage son. Suren Dutia is a Senior Fellow at the Kauffman Foundation and recently authored a White Paper on AgTech. Suren is passionately immersed in fostering entrepreneurship and currently serves on the boards of several entrepreneurial ventures. Previously, he served as the CEO of TiE Global in Silicon Valley and Chairman and CEO of Xscribe Corporation in San Diego, California. As Head of Technology, David Eyton is accountable for technology strategy and its implementation across BP, and conducting research and development in areas of corporate renewal. In this role, David sits on the UK Energy Technologies Institute Board. 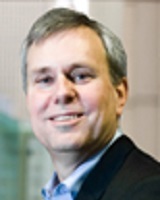 Prior to this, David was BP’s Exploration and Production (E&P) Group Vice President for Technology. In this role David was responsible for Research and Development, Technical Service Work, Digital and Communications Technology, and Procurement and Supply Chain Management for BP’s Upstream business. 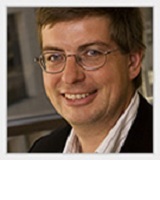 David joined BP in 1982 from Cambridge University with an Engineering degree. During his early career, he held a number of Petroleum Engineering, Commercial and Business Management positions. In 1996, he was named General Manager of BP’s North West Shelf interest in Australia. David later managed Wytch Farm in the UK and then BP’s Gas Businesses in Trinidad. Following that assignment, David was Vice President of Deepwater Developments in the Gulf of Mexico. Dyan leads the GE Innovation Lab, building open innovation and collaborative business models to make innovation more accessible and redefine what’s possible. She collaborates closely with the GE Global Research Center, business verticals, customers and entrepreneurs to establish the company’s vision for and execution of collaborative business models. 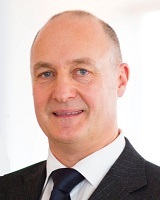 Neil is a corporate partner at leading law firm Baker Botts. 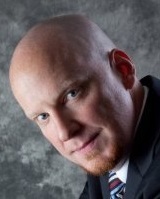 He joined Baker Botts in December 2011. He was previously at a large European law firm, where he was a partner and head of venture capital and private equity. Prior to that, Neil was a founding member of the UK corporate practice in London of a large Californian law firm. He is on the editorial board of Global Corporate Venturing magazine and has advised on several corporate venturing deals. Neil's practice in the London office of Baker Botts covers mergers and acquisitions, venture capital and private equity and corporate finance. His principal sector specialisations are technology and telecommunications, media and entertainment, life sciences and healthcare. As well as advising UK companies, venture funds and intermediaries, Neil represents many large US, Middle Eastern, South African and Asian corporations and institutions on their UK and European deals. Neil is a member of British-American Business, Inc., the transatlantic trade body, and sits on their Information, Communications and Entertainment Committee. He wrote the chapters on UK-U.S. mergers and acquisitions in their 2007 and 2008 editions of its Guide to Investing in the UK. Neil is on the Advisory Committee for Global Corporate Venturing (GCV) magazine and was a judge for GCV’s Annual Awards in 2011 and 2012. In addition to being an Adjunct Professor with CCA teaching Venture Studio for the MBA Program in Design Strategy (https://www.cca.edu/academics/dsmba/curriculum/spring/608), Michael consults for a number of start-up companies and has spent the last 4 years as an active Venture Mentor with MIT’s Venture Mentor Program supporting over 200 initiatives focusing on technology innovation. In 2011, Michael was asked by TiE (www.tie.org) to assist with TiECON to organize a panel on effective models and methodology for clean tech capitalization. (http://www.tieconeast.org/2011/index.php?option=com_content&view=article&id=27&Itemid=35) Michael as also hired by the Korean government to assist with tech-transfer and assessment for innovative emerging market initiatives. 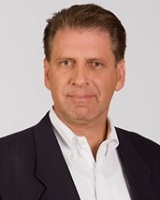 Prior, as Chief Strategic Officer for JetQue, an early stage wireless software startup, Michael defined the business model, the “goto market” roadmap, channel strategy, crafted the corporate message, achieved critical milestones & successfully engaged with top tier customers on a variety of levels. Stefan Gabriel, former President 3M New Ventures, founded 2008 and was in charge until 2014 of 3M’s global Corporate Venture Unit to "invest in technologies that lead into new territory and re-infect 3M with an innovation virus". He drove the company’s ongoing efforts to identify, acquire and develop new-to-3M technologies and businesses using venture style funding and management. Stefan reported to the CEO and CTO, was member of the Executive Conference, Corporate Technology Operations Committee, the global Innovation Board and the New Ventures (CVC) Board. Previously to his engagement within the multi-technology company 3M, he studied manufacturing engineering in Berlin and then worked for more than 23 years for BMW Group in Germany and UK. His areas of responsibility included manufacturing engineering Motorcycles, Strategy Consulting Powertrain and R&D's innovation field for “Future Automotive Concepts for BMW-MINI-RR and Concept Vehicles”, whereby he received prestigious innovation awards. David Gann is responsible for shaping the vision, strategy and innovation agenda for Imperial College, and the development of its new London campus, Imperial West. He holds the Chair in Innovation and Technology Management at Imperial College Business School and Department of Civil & Environmental Engineering, Imperial College London. He is a Chartered Civil Engineer with a PhD in Industrial Economics. 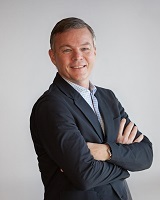 Antoine Garrigues is managing partner at Iris Capital, a France-based venture capital firm managing strategic investments for Orange and Publicis Groupe, as well as for STC (Saudi Telecom) Antoine Garrigues has been with Iris Capital since 1993. He is responsible for all of Iris’ investments in the IT/Internet/communication industries and has played a leading role in defining the investment strategy. He is currently on the boards of directors of Batch.com (France), Amis (Slovenia/Croatia) and VTX (Switzerland). He was previously on the boards of Telesystem International Wireless (Nasdaq-listed, acq. by Vodafone), Wavecom (Nasdaq/Euronext-listed, acq. by Sierra Wireless), Magyar Telecom (now Invitel), AXS Telecom (acq. by Tiscali), SLP InfoWare (acq. by Gemplus), Extrapole (acq. by Hachette), E-via/Retelit (Milan stock exchange-listed), Orange Denmark (acq. by TeliaSonera), Erenis (acq. by Neuf Telecom/SFR), Kiala (acq. by UPS), Bluestreak and member of the advisory board of Kiwi I Ventures (Italy). He is also Managing Partner of STC Ventures (Middle-East). 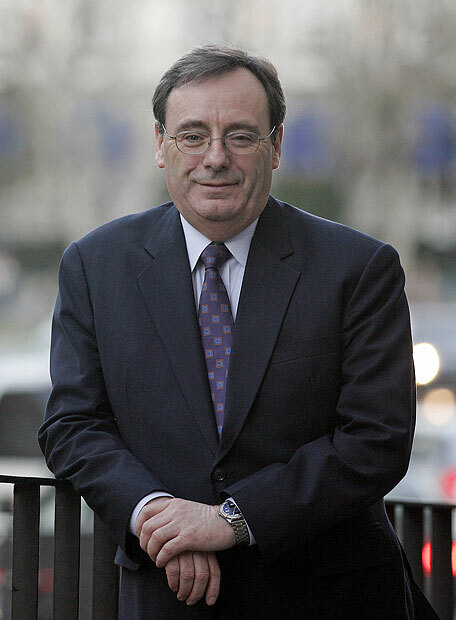 Prior to joining Iris Capital, Antoine was the Director of International Affairs and Development for Dassault AT, a subsidiary of Dassault Group which specializes in banking computer systems and mobile communications. He previously held several positions at the Schneider Group in France and Latin America. Andrew Gaule for over 14 years has been advising and working with leading corporates to set up Corporate Venturing and Open Innovation programmes. Andrew founded Henley-Incubator which became the leading CV and Innovation Corven Networks. Andrew has led strategic change, innovation and operational excellence initiatives at leading global organisations from the financial services, FMCG, defence, technology, health and government sectors. He is the creator of several management concepts now in use at organisations such as BAE Systems, BP, E.ON, McLaren, Philips, Unilever etc. Andrew is the author of the definitive book ‘Open Innovation in Action – How to be strategic in the search for new sources of value’ which includes case studies from P&G, Shell, DSM, Tate & Lyle and QinetiQ. He has interviewed and published interviews with many Corporate Venturing leaders. Andrew has authored many reports, a frequent conference speaker in Europe, USA and China and regular contributor to Global Corporate Venturing. Andrew has an economics degree from St John’s College, Cambridge, is a qualified chartered management accountant and gained his MBA at Henley Business School. Phil Giesler is the Group Head of Strategic Science and Technology at British American Tobacco. In this role he is responsible for long term science and technology development, together with open innovation and partnering strategies across BAT’s tobacco and nicotine businesses. 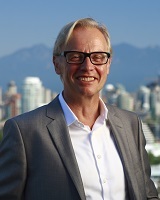 Prior to this he held various R&D positions within Unilever plc where over almost 30 years he built a substantial experience base in consumer driven innovation, R&D, venture investment and incubator and small business start-ups, gained across multiple international markets in Europe, North America and Asia. Ray Haarstick is the founder and CEO of Relevant Equity Systems. Relevant EquityWorks is a software platform that helps Corporate Venturing teams to better manage their deal flow, investments and back office operations. While professionals get apps, management gets over 150+ reports that measure both strategic and financial performance. To date, our system has been deployed to over 270 firms in 23 countries worldwide, including many of the most successful CV teams. More information can be found on www.relevant.us/todays-cv-toolbox. Mr. Haarstick holds B.S. degrees in Computer Science and Management from Worcester Polytechnic Institute (WPI). Dr. Martin Haemmig is an Adjunct Professor at CeTIM in Germany and The Netherlands on venture capital, incubation and hi-tech startups and is a former ‘Senior Advisor on Venture Capital’ for Stanford University - SPRIE. His research covers the global VC & CVC industry in 15 countries. During his annual 7-8 months global travels, he lectures and/or researches at Stanford University, UC Berkeley, INSEAD, UniBW Munich, ETH Zurich, as well as at China’s Peking University, Tsinghua, Renmin, Fudan and JiaoTong University, plus India’s IITs IIMs and ISB. He is author for books on ‘The Globalization of Venture Capital’ (English & Chinese), as well as for book chapters and articles on the various venture capital ecosystems. He is a co-founding professor of the world’s only doctoral degree program on Venture Capital (Renmin University, Beijing) and was then appointed as advisor for China’s largest science park (Zhongguancun in Beijing). He helped launch the Venture Capital Community at the World Economic Forum (WEF) in 2004 and remained an advisor and outside researcher for years. He also holds a few global strategic advisory positions and is a frequent speaker at conferences around the world on CVC/VC/PE. Mr. Shelley A. Harrison, Ph.D.
Dr. Harrison is Senior Advisor & Head of Corporate Portfolio Ventures at Coller Capital, a leading global investor in private equity secondaries with over $13.5 billion under management. 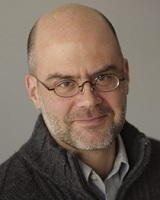 He serves as NYU Applied Scientist, Entrepreneur, and inaugural Executive-in-Residence for the NYU Center for Urban Sciences & Progress and as a Member of the Board of Trustees of Polytechnic School of Engineering and its NYS Center for Advanced Technology in Telecommunications (CATT) in the mid-1980s through mid-1990s. Early in his career, Dr. Harrison was a Member of Technical Staff at Bell Telephone Labs (AT&T) and Professor of Electrical Sciences, SUNY at Stony Brook, with a focus on quantum electronics, lasers and microwave communications. As Co-Founder and first Chairman & CEO of Symbol Technologies Inc., Dr. Harrison saw the company through its formative years, building the business, raising capital, pioneering technology patent base and business applications utilizing laser scanning of bar codes for automatic data entry. Symbol received the U.S. National Medal of Technology Award at the White House from President William Clinton: “For creating the global market for laser bar code scanning and application of mobile computing and wireless local area network technologies.” He went on to be Co-Founder and Managing General Partner of Venture Capital firms PolyVentures I & II, where he successfully invested and grew over 30 high tech startups in the United States, Taiwan, and Israel, generating thousands of jobs and significant revenues while sharing profits with Polytechnic School of Engineering to improve its endowment. He has continued high-tech investing around the world (China, USA, Israel, Europe) through Harrison Enterprises Inc. and advises multinational corporations and governments on technology development, entrepreneurship and job creation. 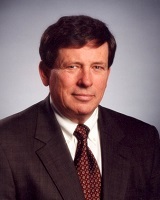 Dr. Harrison became Chairman (1994) and then CEO (1996-2003) of Spacehab Inc. – the first international company supporting human activity in space, through its privately financed proprietary pressurized laboratory and logistics modules, flown successfully aboard 18 missions of the U.S. NASA shuttle fleet to earth’s orbit, Russian MIR Station, and the International Space Station. Dr. Harrison recently assisted strategic planning and inauguration of the XIN Center for Science and Technology Innovation, a major joint venture between Tsinghua University (China) and Tel Aviv University (Israel). 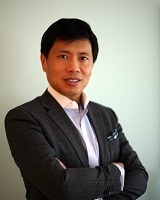 He serves as XIN Senior Strategic Advisor for international Innovation, Commercialization, and Development. Hermann is a Fellow of the Royal Society, the Institute of Physics and of the Royal Academy of Engineering and an Honorary Fellow of King's College, Cambridge. In 2001 he was awarded an Honorary CBE for ‘innovative service to the UK enterprise sector’. In 2004 he was made a member of the Government’s Council for Science and Technology and in 2013 he was made a Distinguished Fellow of BCS, the Chartered Institute for IT. .
Philippe Michel Hervé is currently an independent entrepreneur and was formerly Global Head of R&D Alliance Management at Bayer CropScience, in charge of managing partnerships worldwide across the range of expertise in agriculture and of managing investment for external innovation. Philippe has been working in agriculture innovation and the ag industry for more than 15 years. He received a Ph.D. in biotechnology in Toulouse, France, with expertise in both chemistry and plant biology and did work across early stage company, international research organizations and multi-national companies in Europe, Asia and USA. 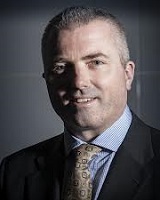 Dermot is the CEO and a founding director of Intramezzo, an executive search and interim management firm specialising in working with Corporate and VC/PE portfolio companies. He leads the corporate venturing practice which in one year alone, saw exit values for its clients of over £100million through its placements. Prior to this, Dermot was a dotcom pioneer, having gained extensive experience in launching, building and transitioning technology organisations as an interim executive. Tom Hockaday is the Managing Director of Isis Innovation Ltd, the University of Oxford’s Technology Transfer company. Tom joined Isis in March 2000 and became Managing Director in 2006; he has led the international expansion of Isis including establishing Isis offices in Hong Kong, Madrid and Kyoto, and a number of joint ventures in China. 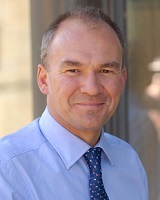 Tom’s move to Oxford followed seven years in technology transfer at Bristol University, where he was Managing Director of Bristol Innovations Ltd, and four years previously at University College London. 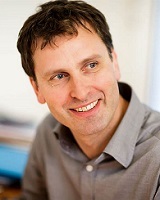 In 2003 Tom was Chairman of UNICO, the UK’s university technology transfer association. Tom has advised numerous universities and organisations on technology transfer and innovation management, and spoken at conferences around the world. Bo Ilsoe has more than two decades of experience in venture capital, investment management, fundraising, organizational and strategic development as well as sales and marketing. Having lived and worked in the UK, Italy, France, Switzerland, Finland, Spain and Singapore, he comes with a global view to business. Yi Jiang is the General Manager of XIN Center, a joint innovation hub co-founded by Tsinghua University and Tel Aviv University in May 2014. XIN focuses on cross-disciplinary revolutionary technology development by providing technology transfer and global innovation elites training program. Dr. Jiang got her B.S. degree from Tsinghua University and PhD from Massachusetts Institute of Technology. With more than 15-year experiences in building energy and environment related R&D, Dr. Jiang served as a principle investigator by working with many government agencies, large corporations, and renowned research institutes. Dr. Jiang has published dozens of journal papers and has more than 10 patents authorized or in application process. In recent years, Dr. Jiang has been actively involved in bridging research, industry, and government in rapidly growing Chinese economy. She is a visiting professor of Tianjin University, Nanchang University, and Fuzhou University. She is a board member of several high tech start-ups in energy and environment fields. Dr. Jiang also worked as a group leader at the United Technologies Corporation (UTC) Research Center before joining XIN. Rimas manages the UPS Strategic Enterprise Fund (SEF), the private equity strategic investment and corporate venture capital arm of UPS. The fund is focused globally on developing critical partnerships and acquiring knowledge returns from its investments in technology companies and emerging market spaces. Established in 1997, the SEF is an important business development tool that enables exploration of emerging markets and technologies that may enhance the evolving business models at UPS. Rimas oversees all operations of the fund, including sourcing and evaluating investment opportunities, facilitating the ongoing relationship between UPS and the venture capital community and portfolio companies, and management of the fund staff. He has an MBA from Goizueta Business School at Emory University and a BS from the University of Connecticut. Rimas resides in Dunwoody Georgia with his wife Carla and two children, Luka and Viktoria. Bindi joins Silicon Valley Bank as Vice President, Accelerator. SVB Accelerator is a specialised solution that combines comprehensive banking services with expertise, connections within the entrepreneurial ecosystem, and guidance to help businesses at every stage of growth. Bindi has devoted much of her career in and around the startup ecosystem, most recently as the Venture Capital/Emerging Business lead at Microsoft UK where for five years, Bindi led BizSpark in the UK. She also sits on many Advisory Boards, including Seedcamp, Astia, EVCA - Digital Agenda Task Force, SVC2UK CEO Day, and BCS Entrepreneurs. Her previous role at Microsoft was as a Business Productivity Advisor. Prior to Microsoft, Bindi worked as Associate Director in Interregnum, a UK-based technology merchant bank. 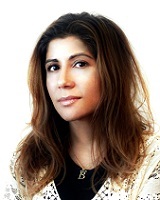 Bindi has been on the Wired UK Top 100 Digital Power Broker list from 2010 - 2012, on the 2012 Girls in Tech Euro 100 Women's list, named as one of the Six Most Connected Women in the UK by the IoD in 2011,shortlisted as a finalist for Asian Business Woman of the Year in the 2010 AWA Awards. She was also given a special mention in the 2010 TechCrunch Europas Awards as Best Startup Advisor/Mentor and re-nominated in 2011. Having grown up in Western Canada, Bindi now lives in London, and her hobbies include competing in adventure races, running marathons/duathlons, and skiing. Matthew is a Managing Director at Telstra Ventures. Since Matthew joined in 2011, Telstra Ventures has completed in 22 investments in Australia, US and Asia. Matthew started in the VC industry in 1997 and has worked with over 60 venture funded companies including a number of successful acquisitions and IPOs. Matthew holds Bachelor degrees in Electrical Engineering and Law and a MBA from the AGSM completed at The Wharton School at the University of Pennsylvania. Brian Kolonick oversees Cleveland Clinic's Healthcare Innovation Alliance program. This program is a collaboration between healthcare providers, universities and corporate partners, to expedite commercialization in an effort to extend and improve patient lives. Current alliance members include: MedStar Health, Northshore-LIJ, the University of Notre Dame, Marshfield Clinic and others. 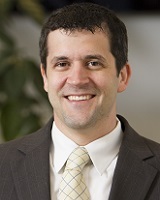 Prior to joining Cleveland Clinic Innovations, Brian was Director in Cleveland Clinic's Corporate Communications Department, overseeing not only the public and media relations for Innovations, but also the Heart and Vascular Institute, Cleveland Clinic Abu Dhabi, and Global Patient Services. Prior to joining Cleveland Clinic, Brian was a Director of Marketing and Communications for National Stroke Association, a national non-profit dedicated to reducing the incidence and impact of stroke. Brian received his bachelor's degree from The Ohio State University and holds an MBA. Davorin is the CEO of Sparkling Logic, Risk Management Analytics company in Silicon Valley. Prior to that, Davorin co-fouded Capbridge Ventures, a Strategic Corporate Venture Capital investment firm and has spent a number of years at Texas Instruments, global semiconductor leader, after his last M&A exit with Telogy Networks. At TI, he managed corporate venture and innovation and ran their global EMSI/Flextronics business. Earlier in his career, Davorin held strategic, business development and sales management positions at Neuron Data/Blaze Software (IPO, then acquisition by Fair Isaac Corp.), Saber Software / Centerline, NuThena Systems and IBM/AST. With over 20 years of combined experience, Davorin contributes significant operational and market expertise in broad technology fields spanning SW, HW and solutions. He was recognized as a global innovation leader on the “Powerlist 100”, for 2012 and 2013 by Global Corporate Venturing and is a frequent industry speaker and author on the topic of corporate venture capital and innovation. A seasoned entrepreneur, Davorin also founded and managed several startups including Old World Spirits, IdeasByDesign.com, SiliconHostel.com and TipAttic Ventures. Davorin speaks English, Croatian and French. He earned a BS in Computer Science, a BS in International Business, a Minor in French Language / Literature and an MBA and Clausen Fellowship at UC Berkeley, Haas School of Business with focus on PE/Venture Capital Finance and Entrepreneurship. Mr. Yuval Kupitz received B.Sc. degree in Chemistry and Biology, M.Sc. in Biochemistry and an additional M.Sc. degree in Business Management and Industrial Chemistry, all from the Hebrew University of Jerusalem, Israel. He is currently the Head of International Collaboration of the Tel Aviv University Center for Nanoscience and Nanotechnology and the Co-Manager of XIN Center. Prior to his appointment at XIN Center and Tel-Aviv University, Yuval served in various management positions in the Biotech industry. He served as a Director of Applied Biotechnology at The National Institute for Biotechnology in the Negev Ltd., developing and managing applied research programs emerging from Ben-Gurion University researchers to proof-of-principle stages, and commercializing them. Yuval was a Vice President of Business Development-Pharmaceuticals and Diagnostics as well as of Intellectual Property at Hadasit Ltd., the technology transfer company of leading hospitals in Israel. There he experienced with dozens of out-licensing deals in the Bio/Pharma arena and in many routes for business development activities such as Start-Ups establishments and IPO's. Prior to his 12 year tenure at Hadasit, he held various positions including at the Technology Transfer Office of the NIH, USA, at the agriculture and the science departments of the Israeli Embassy in Washington DC, and at Sigma Chemicals Ltd., a subsidiary of Sigma-Aldrich, Inc., where he served as a Production Manager. 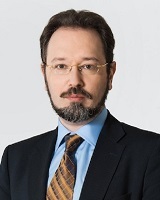 Evgeny Kuznetsov - member of the Board of RVC, Deputy CEO, Director of Project Management Office. Specialist in communications and public campaigns. Education: Graduated from St. Petersburg state University. Since 2009 has been working in the Russian Venture Company (RVC). Came to the position of Director of development and communications, later became Director of the Department of Strategic Communications. 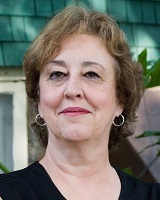 2010 - Member of the Board of RVC. From April 2014 – Deputy CEO, Director of Project Management Office. 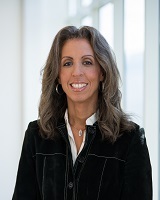 Lisa Lambert is a vice-president of Intel Capital and the managing director of the Software and Services Group. Lisa is a voting member of Intel Capital’s investment committee. Lisa also leads Intel Capital’s Diversity Fund investing in women and minority led technology companies. 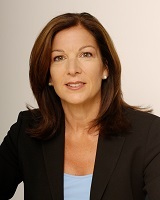 Lisa joined Intel Capital in 1999. Prior to that, she held a Product Marketing Management position with Intel’s Desktop Products Group with responsibility for the Pentium II, III processor family. 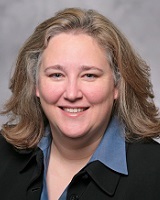 Prior to joining Intel, Lisa worked as a software engineer (1989-1992) and in senior roles in strategic planning, product marketing, and sales (1992-1995) at Owens-Corning. 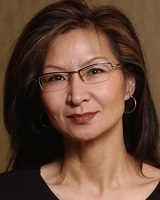 Lisa is on the board of directors for Silkroad Technology and is Chairman of UPWARD. 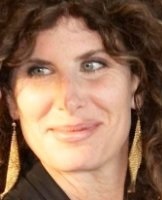 Lisa is a board observer for Urban Airship, Kaltura, Fonality, WhoKnows, Zend Technologies, and Zumigo. Lisa has invested in and managed exits from VMware (IPO), MySQL (acquired by Sun), Endeca (acquired by Oracle), DATAllegro (acquired by Microsoft), JBoss (acquired by Red Hat), X+1 Solutions (acquired by Rocket Fuel), Joulex (acquired by Cisco), Financial Engines (IPO), Basis Science (acquired by Intel), TOA Technologies (acquired by Oracle), Prolexic (acquired by Akamai), Gaikai (acquired by Sony), Accertify (acquired by AMEX), OpenFeint (acquired by Gree), Jajah (acquired by Telefonica), Kingsoft (IPO), Enjoyor (IPO), Tobesoft (IPO), Netposa (IPO), Perceptive Pixel (acquired by Microsoft), and CPower (acquired by Constellation Energy), to name a few. Lisa is founder and executive director of UPWARD (www.upwardwomen.org), a professional non-profit organization focused on accelerating careers of senior professional women. 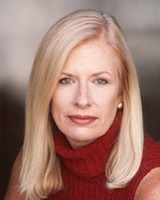 Lisa has an MBA from Harvard Business School and a BS/MIS from Pennsylvania State University. 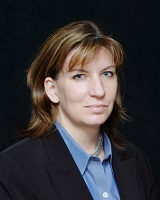 Jacqueline is Managing Director of Munich Re / Hartford Steam Boiler Ventures. A subsidiary of Munich Re, the world’s largest reinsurer, Hartford Steam Boiler is a leader in equipment breakdown insurance and coverage for renewable energy and cyber security. Previously, Jacqueline was VP of Innovation & Corporate Venture Capital at The Hartford where her team received Global Corporate Venturing’s award for Best Practices in Financial Services for their unique approach to combining investing in start-ups and incubating new businesses. 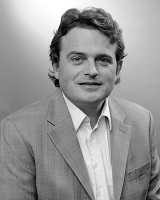 Toby Lewis has been editor of Global Corporate Venturing since the beginning of 2013, having joined the media publication as news editor in 2011. Lewis has served as one of the three executive directors on Mawsonia’s board since joining the publishing company of Global Corporate Venturing, Global University Venturing and Global Government Venturing. He was previously news editor at Private Equity News, part of Dow Jones. He was published regularly in The Wall Street Journal, Dow Jones Newswires, Financial News, Private Equity News and across the Dow Jones network. He has also written as a freelancer for top trade titles including Legal Week, Global Pensions, Real Deals and numerous other titles. Before moving to Private Equity News, he was a reporter at Private Equity International. 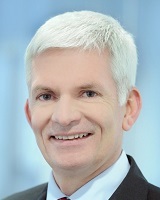 Robert Linck is CFO at Shell Technology Ventures (“STV”), the corporate venturing arm of Shell. STV invests in early-stage technology companies, spin-outs and venture funds to support Shell’s efforts to meet the needs of the world’s ever expanding demand for energy. Robert provides financial stewardship and oversight across the various investment funds under management, including as shareholder representative of Shell’s interest in the Shell Technology Ventures Fund 1 B.V., and supports transactions directly via a team of Investment Associates. Prior to this role, Robert was with the M&A & Commercial Finance group of Shell, involved in acquisitions, joint ventures, divestments, and project finance. Before joining Shell, Robert was partner in a private equity and restructuring boutique, on various boards of early-stage technology companies, and in various roles at Philips Electronics and Andersen Consulting. Robert holds a masters degree from the Erasmus University and an Executive Mater of Finance and Control from the University of Amsterdam. Robert is a Dutch National and lives in Amsterdam with his wife and daughter. Robert’s interests outside STV include football, windsurfing, travel, film and music. Charmian believes in the power of business as a force for good. She specialises in designing high impact corporate investment and innovation strategies. Her greatest achievements include brokering complex, cross-sectoral partnerships and supporting the development of ambitious new leadership agendas for companies including HP, Allianz and Nike. She is a regular speaker at international events focused on innovation, entrepreneurship and sustainability and has written for Harvard Business Review, Fast Company and Stanford Social Innovation Review. Charmian is Co-Founder and Director of Volans, a think tank/consultancy business focussed on accelerating breakthrough levels of innovation. 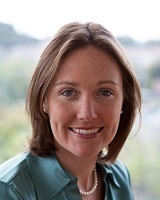 She is also a Senior Advisor at Bridges Ventures in their Impact+ team and an Innovation Leader at Grant Thornton. Her other roles include helping to incubate the launch of B Corps in the UK and serving as a Trustee of the Future-Fit Foundation. She is a BMW Responsible Leader and was profiled in Brummell’s Magazine as a top 30 under 40 in their annual ‘Ones to Watch’ listing. Outside the UK, Charmian is past Chair of The Flavelle Foundation and a member of the Board of the United Way Centraide Canada. Stuart Marks is a serial entrepreneur who has built and sold four businesses over the past 25 years. They have spanned several sectors including CRM, location-based services and digital media. Every company applied innovation to challenge existing business models. Stuart has worked with a diverse and international customer-base including Sainsbury’s, British Airways, Unilever, Vodafone, BMW and various Government agencies across the world. His most recent exit was ITIS Holdings plc in 2011. The company was listed on the LSE and was Europe’s leading provider of real time traffic information and connected car technology and was the first company to commercialise crowd sourced data from GPS devices and mobile phone networks. In 2012, Stuart set up the L Marks investment fund and L Marks now consolidates his many investments and manages corporate innovation and venture projects. Amongst these, L Marks manages and co invests in John Lewis’s JLAB retail technology incubator and DPD’s Last Mile Labs. A veteran of Silicon Valley , Ms. Mason is co-founder of the Bell Mason Group (BMG), a specialty consultancy serving global corporations who seek strategic growth through venturing and innovation initiatives. For over 20 years, BMG has led the way in codifying corporate venturing operations and organizational best practices , and has embedded these in its proprietary CV&I management systems which it licenses and quickly customizes in each corporate environment, in order to accelerate the quality, reduce the risk and fast-track impactful performance of global corporate venturing and innovation programs. Ms. Mason also serves as a specialty Senior Advisor to Global 1000 corporations that are focused on innovation, new markets and new businesses through venturing. Representative clients include Citigroup, Merck, Salesforce, Philips and Coca Cola. -In January 2013, Ms. Mason co-founded the Corporate Venturing & Innovation Intiative (CVI2), a first of kind alliance of core CV service providers led by thought leaders recognized in their fields and organized around the Bell Mason frameworks. CVI2 provides ‘one-stop shop’ guidance system for CV&I leaders and global executive management in CV&I operations (BMG), legal (DLA), market data and analysis (Global Corporate Venturing), banking and financial services (Silicon Valley Bank), accounting/tax (Deloitte), and innovation strategy (Doblin/Deloitte). Over twenty years of international leadership and management experience in technological innovation from conceptual engineering design and development through to concept sales to create viable business lines for blue chip and start-up companies alike. A proven track record of leading strategy development and execution to deliver rapid and sustained growth in technology, design and engineering businesses. A mechanical engineer by training his career spanned most branches of engineering before changing focus to join pioneers in the mobile internet world for telecoms, media and entertainment. Now in his fifth year with McLaren Applied Technologies he seeks to capitalise on the convergence of data management, analytics and simulation to deliver high performance design of products and processes in fields as diverse as health, energy, transport and consumer brands. McLaren is renowned for its racing heritage and, more recently for its super-car business. The next big thing at McLaren is McLaren Applied Technologies. 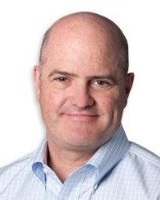 John McIntyre leads the Citrix Startup Accelerator, an open innovation platform, which builds successful companies focused on solving today’s enterprise problems with new approaches from emerging startups. John’s career has focused on spearheading programs that create ecosystems that link entrepreneurs, investors, and customers. 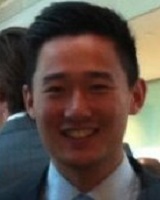 John ran the Enterprise Ireland software team in North America and previous to that co-founded InnerWorkings. John also spent 13 years at Intel Corporation where he helped fund early stage startups.! Megan Muir focuses her practice on representing emerging growth companies and the venture capital firms, strategic investors and investment banks that finance these companies. Megan's practice encompasses venture capital financings, mergers and acquisitions, public offerings, corporate governance and general corporate counseling. She represents both private venture-backed companies and public companies in the technology sector and frequently represents venture capital firms in funding privately held companies. She has worked with companies in a wide variety of technology sectors including software, wireless hardware and services, online gaming, e-commerce, online media, SAAS, genomics and biotechnology. In the past three years, she has represented clients in over 180 venture capital financings totaling in excess of US$800 million. 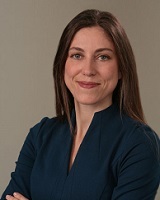 Sara Murray (MA Oxon) is a serial technology entrepreneur. She founded a number of companies including Ninah Consulting and Inspop, which owns the brand Confused.com. Sara then founded and now runs Buddi, which provides personal mobile monitoring solutions in health and criminal justice. 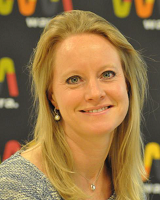 Sara is a previous Entrepreneur of the Year winner and also sits on the governing board of Innovate UK and the Secretary of State for Business’ Entrepreneurs' Forum. She was awarded an OBE for services to Entrepreneurship and Innovation in the Queen’s Jubilee Birthday Honours 2012, is a qualified helicopter pilot and a member of the development council of the National Portrait Gallery. 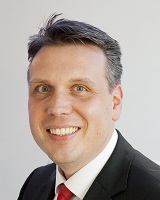 Mark Muth is a director in PwC’s UK Corporate Finance practice. He is building a business advising Corporate Venture Capitalists on strategy, operations, capital raising and exits. 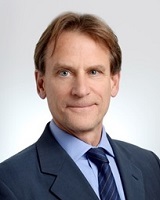 Prior to joining PwC in April 2014, Mark was a Director of Unilever Ventures, the venture capital arm of Unilever plc, from its creation in 2002 until 2013. He was one of the three members of the investment committee. He was a Managing Director of GE Equity, the private equity business of GE Corporation from 1999–2002 and began his career with Bank of America. He has acted as an investor and director of companies in a wide range of industries, development stages and geographies and has served on the advisory boards of a number of private equity and venture capital funds. Mark has written articles for Global Corporate Venturing journal and is a founding faculty member of the Global Corporate Venturing Academy, having taught courses in venture capital, buy-outs, valuation and other corporate finance topics at the Institute of Directors earlier in his career. Ms. Nelsen earned B.S. and M.S. degrees in Chemical Engineering from M.I.T. and an M.S. in Management from M.I.T. as a Sloan Fellow. Prior to joining the M.I.T. TLO she spent 20 years in industry, primarily in the fields of membrane separations, medical devices, and biotechnology. Ms. Nelsen was the 1992 President of the Association of University Technology Managers and was a founding board member of MIHR, an organization concerned with the use of IP in medical research for developing country diseases. 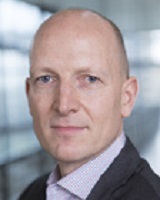 Dr. MARKUS NORDBERG is the Head of Resources Development of the Development and Innovation Unit (DG-DI) at CERN, Switzerland. He is currently involved in launching a sensor and imaging R&D initiative called ATTRACT (www.attract-eu.org) aiming at both scientific and societal impact. Prior to this function, he served 12 years as the Resources Coordinator of the ATLAS project at CERN (www.atlas.ch). 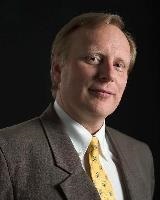 He has also served as Visiting Senior Research Fellow at the Centrum voor Bedrijfseconomie, Faculty ESP-Solvay Business School, University of Brussels, and as a member of the Academy of Management, Strategic Management Society and the Association of Finnish Parliament Members and Scientists, TUTKAS. He has a degree both in Physics and in Business Administration. 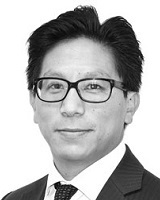 Brian Park is general legal counsel at Royal Philips in the corporate and financial law group in its Headquarters in Amsterdam, the Netherlands. As the youngest general counsel in the Fortune 500 company, he specializes in corporate venture capital, joint ventures, and disentanglements related to M&A. 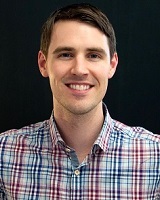 Brian obtained his master’s in finance and law from the Duisenberg School of Finance and is a Phi Beta Kappa graduate of Occidental College, an honor granted to the top 1 percent of American graduates in the liberal arts and sciences. Born and raised in San Francisco, a couple miles north of the mecca of entrepreneurship, he is plugged into the startup scene in the Bay Area with his relationships dating back to childhood with a number of venture capitalists and entrepreneurs. Prior to joining Royal Philips, Brian worked for a range of institutions from a leading worldwide development bank to the city and county of San Francisco. He has a number of reports in the pipeline related to entrepreneurship from venture capital, the role of corporates in the startup ecosystem, and the impact of law and policymaking on facilitating innovation that will be published in the summer of 2015. Brian is an avid blogger in his free time as well on the topic of entrepreneurship, which can be read at Just4notherBlog.com. 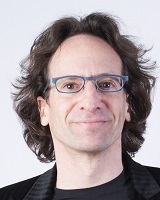 Jonathan Pulitzer is a Senior Director in the energy practice for GE Ventures and acts as the organization’s regional presence in Israel and Europe. He relocated from the US in 2011 to focus on the Israeli and European technology markets. He has been involved with more than a dozen investments during his seven plus years of investing across Ventures and GE Capital, having served as a board observer with a number of companies, including four active Israeli companies. He joined GE in 2005 with the Financial Management Program where he served various business functions across GE Capital, including Commercial Aviation Services, Capital Markets and Equity, while completing GE’s executive training program. Jonathan earned his BA in economics and business from New York University. He lives in Israel with his wife and three young children. 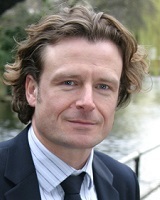 Dr Tony Raven joined Cambridge Enterprise as Chief Executive in December 2011. Previously he was Director of Research & Innovation Services at the University of Southampton, where he helped establish Southampton’s international reputation as a leading entrepreneurial university, creating a portfolio of 11 spin-out companies with four listings on the London Stock Exchange. After graduating with a First in physics from Manchester University, he obtained his MSc and DPhil from the University of Oxford. He worked at Rutherford Appleton Laboratories and Osaka University before joining Cambridge-based PA Consulting in 1983. In 1985 he was a founder of Summit Technology, the market leader in laser refractive surgery, which was acquired by Nestle Alcon in 2000 for $893 million. In 1987 he co-founded Cambridge-based Sagentia Group plc, a technical and management consultancy which is listed on the London Stock Exchange. 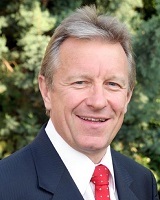 In 1991 he founded Diomed Inc, a pioneer and world leader in therapeutic medical diode lasers, and served as CEO and Deputy Chairman until 2000. 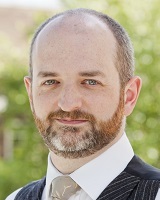 Dr Raven is a Fellow of the Institute of Physics and a Member of the Institute of Directors. John Riggs rejoined PwC as senior managing director of strategy, innovation and development and co-leads strategic and innovation transformation services across the full spectrum of PwC’s clients and industries. 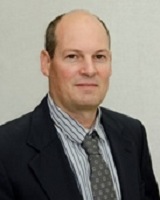 John has more than 25 years experience within the technology, communications, IT/IS and electronics industries. Most recently, John served as vice president and head of Alcatel-Lucent Ventures, a corporate venture capital group within Bell Labs, where he managed joint ventures and a portfolio of internal ventures that enabled the company to enter and grow new markets. As co-chair of Alcatel-Lucent’s Venture Investment Committee, John had oversight for the company’s strategic external investment portfolio. 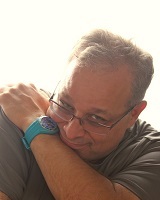 Prior to joining Alcatel-Lucent, John enjoyed success as an optical engineer and manufacturing manager at ASML (formerly Silicon Valley Group Lithography Systems), Goodrich Intelligence, Surveillance and Reconnaissance (ISR) Systems (formerly Hughes Danbury Optical Systems) and a previous role with PwC. Anthony is co-founder and CEO of 6Tribes, a new app that uses your photos, music, apps, posts and location to find matches between people and connect you with your tribe. Whether you’re attending the same event or love the same music, 6Tribes will connect you with people who share your passions and interests. Anthony is also co-founder and President of Beamly, the social and content network for television. Beamly brings you news and community around your favourite shows and lets you play along with the show. For broadcasters, Beamly is a platform and publishing tool that brings audience, insight and interactivity to their shows. Before Beamly, Anthony headed up BBC iPlayer from 2007 to 2010, taking it from pre-launch to major success story. 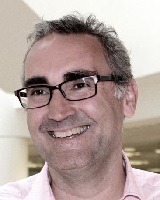 Anthony moved to YouView in May 2010 to create a next-gen connected TV platform with aggregated content. 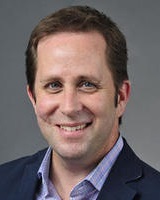 Robert Rosenberg, '97 (XP-66), is the director of entrepreneurship programs in the Polsky Center for Entrepreneurship and Innovation and adjunct associate professor of entrepreneurship. 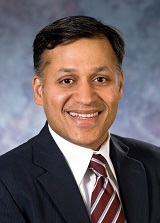 He has served in a variety of senior administrative roles at the University of Chicago, most recently associate vice president for marketing strategy and associate vice president for research. Bob came to the University in 1989 as director of industrial relations and technology at the University of Chicago Medical Center. Bob was a founder of the Illinois Biotechnology Industry Organization and the Midwest Research University Network. He is a director of Illinois' Technology Development Fund, a board member of Manufacturing Renaissance, and a co-chair of Hyde Park Angels Healthcare Ambassador Circle. Bob earned a bachelor's degree (magna,) in English from Harvard University, a master's degree in English literature from Tufts University, and an MBA from the University of Chicago. 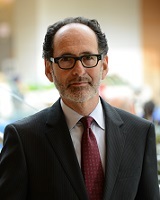 Although he joined the faculty in 2008, he has been lecturing at Chicago Booth since 2000. 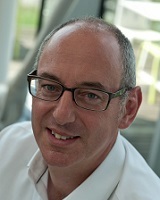 Simon is Director, Retail Operations Development at John Lewis. 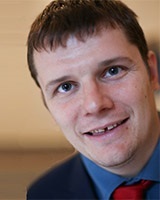 Simon joined the John Lewis Partnership as a graduate from St Andrews University. His career has focused on the business’ operational management including Managing Director of its Sheffield and Bluewater branches. He led the £22m refurbishment including the introduction of a new Foodhall in 2009 at Bluewater. 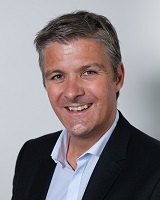 In January 2010 he became John Lewis' first Head of Multi-Channel leading the integration of a growing and significant online channel with a successful established Department Store business aiming to give customers a seamless experience regardless how they shop along with leading the online programme to continue to turbo charge online sales. 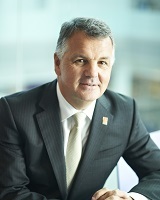 In March 2012 he moved to his current role of Director, Retail Operations Development where he is responsible for the ‘shop of the future’ vision from both a customer experience point of view and a business operating model along with the delivery of all retail programmes including the key IT Omni Channel infrastructure. He has recently inherited back the Omni Channel team in addition to his existing responsibilities reflecting the point John Lewis has now reached in its Omni Channel journey. Karma Samdup heads up the venture capital practice at MJ Hudson, a specialist alternative assets law firm. I’m passionate about innovation and how it can positively change people’s lives. I consider that being a bridge between pioneering entrepreneurs and smart money is both a privilege and a great responsibility. I’ve been an investment professional for the last 10 years. I have invested on behalf of and represent some of the world’s most recognized business leaders. Be smart and be honest is the code on which I have built my professional relationships. I continue to manage money for great people at Bridge 37. I’ve worked in many fields, including Venture Capital, Investment Banking and Marketing and in projects both in the United States and Mexico. My functional experience has been building and managing investment pipeline, coordinating analysis and due diligence processes, as well as strategy development and implementation for Small and Medium Enterprises. I’m a UT Austin MBA, Anahuac University Economist and a Kauffman Fellow. Harshul Sanghi is a veteran venture capitalist with over 25 years of operating experience and a proven track record in delivering financial returns and strategic value. Harshul has a keen sense for the disruption of traditional industries by digital platforms – media, telco, commerce, and financial services. Harshul has consistently been ranked in the Top 20 Global Corporate Venture Capitalists by Global Corporate Venturing Magazine and has been featured in the Harvard Business Review and The New York Times. Harshul is Managing Partner at American Express Ventures, overseeing global investment activity across American Express. Harshul also leads the company’s Silicon Valley presence and corporate venture activity. The main focus of Amex Ventures is to drive innovation by leveraging investments in disruptive startups – in areas that include next generation payments, collaborative commerce, multi-channel engagement, B2B payments, and data analytics. Harshul has led investments in and is currently involved with the boards of Bill.com, If Only, Instacart, Intacct, Kiip, Learnvest, Retail Next, Savingstar, and Ness (acq by Open Table). Harshul has a bachelor's degree in Computer Science from the University of Oregon and and M.B.A from the International Institute for Management Development (IMD) in Switzerland. Before joining Siemens Venture Capital as CEO in 2005, Mr. Schnell has built up Infineon Technologies corporate venture capital activities since 1998 and was managing director of Infineon Ventures GmbH. 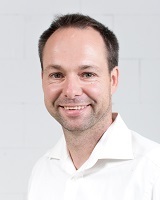 Prior to joining Infineon Technologies in 1998, Mr. Schnell worked with Siemens AG for 11 years where he held various positions in innovation management, microelectronics and software development and corporate research. 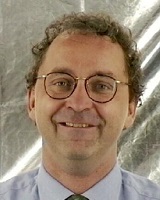 Mr. Schnell obtained his diploma degree and PhD in Physics. Charles Searle is currently the Chief Executive Officer of Naspers Internet Listed Assets. He serves on the boards of a number of companies associated with the Naspers Group, including Tencent Holdings and the Mail.ru Group. Prior to joining the Naspers Group, he held positions at Cable & Wireless plc and at Deloitte & Touche in London and Sydney. Mr. Searle is a graduate of the University of Cape Town and a member of the Institute of Chartered Accountants in Australia. Andy is the Head of Global Operations at Startupbootcamp, A leading startup accelerator with programs in 8 countries that invests in over 90 companies annually. Andy has held multiple startup operating and technology commercialization roles in addition to working with both angel and tech transfer groups. He was previously a Family Office Investment manager and a Fellow at Seedcamp. Andy received his MBA from Imperial College London and BA from the University of Wisconsin – Madison. 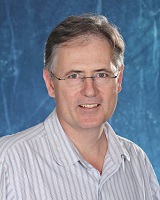 Malcolm has BSc in Pharmacology/Biochemistry and a PhD in Neuropharmacology. He has gained a wide breadth of experience in the management of research activities and has more than 60 publications including articles on the interface between industry and academia. 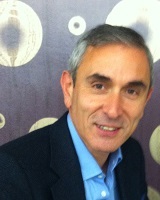 For more than two decades he has managed Academic Liaison at GSK managing staff in the UK and US. His role involves close liaison with several groups outside the Company e.g. Government Departments, Research and Funding Councils, Small Biotechnology Companies and other science-driven organisations. He sits on many external bodies and several UK University Department advisory groups. He also chairs several groups including the Diamond (Synchotron) Industrial Advisory Board, the Science Industry Partnership addressing skill needs for scientists in England and the ABPI group working on academic liaison. 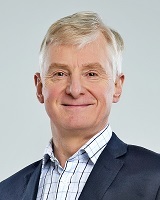 Malcolm was awarded a CBE in the 2009 Queen’s Birthday Honours List in recognition of his contribution to the pharmaceutical industry as well as an Honorary Professorship from the College of Medical and Dental Sciences at the University of Birmingham and honorary degrees from the Universities of Dundee and Hertfordshire. Marc’s passionate about fostering the European digital health ecosystem, with a particular focus on bringing together investors and entrepreneurs as well as innovators from the Life Sciences industry. Marc is currently chairing the [Digital] Health Tech Summit, as well as advising several digital health growth stage companies. Marc has 20 years of experience working with the Life Sciences industry, in information enabled businesses (IMS Health), Life Sciences management consulting (Accenture), and biotech (MerckSerono). Most recently, Marc was responsible for M&A and digital health partnerships at Oracle Health Sciences, where his involvement ranged from projects such as the acquisition of ClearTrial and partnership with Greenphire to Oracle's investment in - and partnership with - Proteus Digital Health. Marc’s a Dutch national living in Switzerland; he studied business administration at Erasmus Rotterdam (Netherlands) as well as Aix-en-Provence, more recently completed by executive courses at IMD (Driving Strategic Innovation), INSEAD (Managing Partnerships & Strategic Alliances), London Business School (Private Equity Masterclass) and Singularity University (Futuremed/Exponential Medicine); he speaks English, French, Dutch and German. Marc enjoys family life with his wife and 2 children in and around Geneva (boating, swimming, rowing, skiing, and hiking). 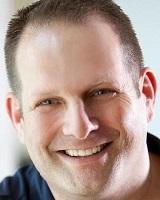 Dave Smardon has a background in establishing, growing and financing technology-based companies. 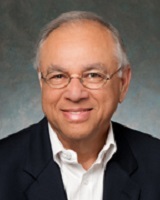 Early in his career, Mr. Smardon held a variety of mid-to senior level positions with corporations including Texas Instruments Inc. and Apple Computer Inc. In 1984, Mr. Smardon began a career as an entrepreneur establishing Learning Connections, an educational software company. In less than 15 months, he built the start-up company to one of Canada’s leading educational software companies and sold it to Unisys Corporation. In 1993, he founded Commcorp Technologies Inc., a spin-off company, providing technology outsourcing services and application software to the financial and banking communities. The company was subsequently sold in 1995 to their largest customer. 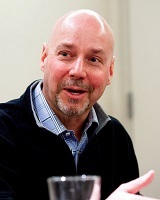 From 1986 through 1990, he headed up Apple Computer's Canadian venture capital activities. It was this experience that led him to establish his own personal investment and venture capital companies (Nibiru Investments and Capital Management Ltd.). During this period, he provided corporate finance services, venture capital investment and hands-on operational management to high growth companies. In addition, he provided advisory, due diligence and investment syndication services to the venture capital and institutional investment communities. Mr. Smardon became immersed in the agricultural sector in 2003 and in 2005, he assumed the role of President and CEO of Bioenterprise Corporation. Since then, he has built Bioenterprise into North America's leading business accelerator in the agricultural industry. Mr. Smardon often compares the heady days of the hi-tech bubble with the agricultural sector today and he refers to agricultural-technology as the “New Wave” for investors. In 2010, he established Bioenterprise Capital Ventures, a venture capital firm focusing on investments in emerging and innovative global agricultural firms. 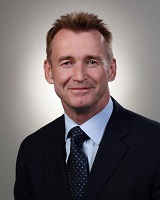 Phil Smith DUniv is the UK & Ireland Chief Executive of Cisco. 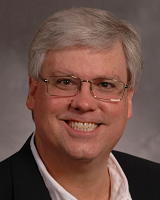 Phil has a thirty year track record in the Information and Communications Technology industry. He leads around 5,500 Cisco people in the UK and Ireland. Phil and his team enable organisations in the private and public sector to innovate and drive transformation, productivity and sustainable growth. Phil is the Chairman of Innovate UK and Chairman of The Tech Partnership. He sits on the board of The Business Disability Forum, the Foundation for Science and Technology (FST) and The National Centre for Universities and Business (NCUB). He is also the Co-Chair of the Future Technologies and Infrastructure Working Group for the Information Economy Council. In December 2013, Phil was hailed as the 5th most influential person in UK IT by Computer Weekly in its UKTech50 awards. In 2012, Phil was voted Orange Business Leader of the Year in the National Business Awards and ranked as number 29 in the Wired 100. In September 2014, Phil was awarded with an Honorary Doctorate from Birmingham City University for his contribution to business. Phil created Cisco’s British Innovation Gateway (BIG) programme, as a legacy of London 2012 to spark nationwide ingenuity, ambition and growth through technology entrepreneurship. Phil’s vision is to help build a brilliant future for the UK & Ireland. He is a distinguished thinker and speaker on the transformational nature of our connected world, sustainability, ambition, inclusion & diversity and the critical need for STEM skills in our future generations. He works closely with government ministers, industrial leaders and top thinkers in business, politics, academia and society to orchestrate life- changing innovation. He became president of Intel Capital in March 2005. Intel Capital, Intel's strategic investment arm, directs the company's external investments in support of Intel's strategic objectives. 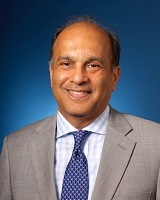 Sodhani served as a member of the NASDAQ Stock Market, Inc. board of directors from 1997 – 2007. He received a master's degree in business administration from the University of Michigan. Ron Spangler comes to OCR with 20 years of experience working to turn advanced technologies into real-world products - most recently focusing on the difficult transition from advanced prototype to production-ready product. His work has covered aerospace systems, adaptive optics, sporting goods, semiconductor fabrication equipment, sensors, energy, and building technologies, in roles ranging from R&D engineering through engineering management, general management, product management, and business development. Most recently, Spangler headed Government Business Development at TIAX LLC, where he developed new technology transition opportunities in energy and defense, including securing external R&D support, negotiating licensing agreements, and selling high-value sensor products. Prior to TIAX, Spangler spend nearly nine years as part of the core team of MIT-spinout Active Control eXperts (ACX), developing new consumer and industrial products based on MIT technology. He was instrumental in the sale of the company to Cymer, Inc., where he served for several years in a product marketing role. Spangler has also served as VP of Marketing and /business Development at MIT-spinout Mide Technology Corporation, and as a senior electrical engineer at the Itek Optical Systems division of Litton, Inc.
Frank joined Innogy Venture Capital (IVC), the CVC-branch of RWE Innogy, in 2012. He is leading investments into European start-up companies providing solutions and new business models for the renewable energy dominated and reshaped energy market of the future. Prior to IVC Frank has held various senior management positions within the RWE group, amongst others commercial asset management of Innogy´s biomass power plant fleet and international gas portfolio management at Transgas in Prague. 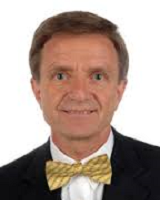 Frank studied industrial engineering and business at the University of Karlsruhe and obtained a PhD in Energy Economics of the University of Cologne. 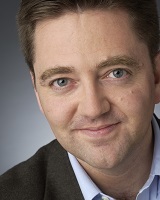 He serves on the boards of IVC´s portfolio companies Kiwigrid, Heliatek, Greenwatt and Topell Energy. 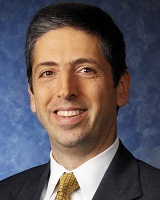 Paul Steinberg, 52, is senior vice president and chief technology officer for Motorola Solutions. He oversees development and execution of the company’s technology strategy, vision and venture investments, driving focused innovation around market needs and customer challenges to enable the future of public safety and enterprise. Steinberg joined Motorola in 1992 and most recently was chief architect for integrated command and control and private broadband solutions for public safety systems. Prior to that, he was chief architect for carrier wireless infrastructure broadband products (LTE) in Motorola’s wireless networks business. Before joining Motorola, Steinberg was a distinguished member of the technical staff at AT&T Bell Laboratories. Steinberg serves on technical advisory boards for multiple companies that supply products and technologies to the networking industry. 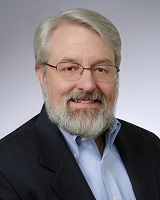 He is a member of the Federal Communications Commission (FCC) Technical Advisory Council and served on the FCC’s Technical Advisory Board for First Responder Interoperability. In addition, Steinberg is a member of Motorola Solutions’ Science Advisory Board Associates (SABA) and holds several U.S. patents. He was recognized with the Motorola Dan Noble Fellow award in 2004 and named a Motorola Fellow in 2006. Steinberg serves on the board of trustees for Adler Planetarium and for Chicago’s public television station WTTW. 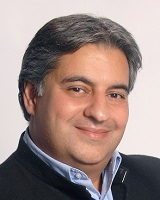 Rohit Talwar is a global futurist, strategist, entrepreneur and CEO adviser. He leads Fast Future Research - helping global firms, investment funds, governments and industry associations to understand and respond to the forces shaping the future. Rohit has a particular focus on identifying the technologies that could shape the industries of tomorrow and drive new business concepts, models and behaviours. 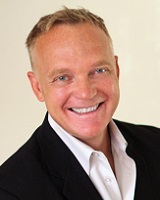 He is an award winning speaker and has worked in over 60 countries on six continents. His clients include 3M, American Express, EE, GE, IBM, Intel, Nokia, Microsoft, Pfizer, SAP, Shell and Vodafone. Eileen Tanghal recently joined ARM Holdings as Vice President within the , New Business Ventures group of ARM Holdings . At ARM, she is responsible for the discovery and cultivation of investment opportunities and acquisitions in new growth areas. Previously, Eileen served as General Manager of Applied Ventures, the corporate venture capital arm of Applied Materials. During her 6.5 year tenure she and her team led several investments and strategic collaborations for Applied Materials in the semiconductor, solar, display and whitespace areas including life sciences and medical. This opened up several billion-dollar market opportunities for Applied Materials. Before joining Applied Materials, Eileen was an investment director in the London office of Kennet partners and an associate at Amadeus Capital Partners. Prior to entering venture capital, Eileen was one of the first engineering team members of semiconductor consulting firm, PDF Solutions which went public in 2001. Anderson Thees is a founding Partner of Redpoint e.ventures, the first Brazilian Venture Capital fund sponsored by Silicon Valley firms. Redpoint e.ventures was created to bring to Brazil the best practices of venture investing developed over decades in the Valley, to help foster the nascent tech entrepreneurship ecosystem in the country and region. Previously, Anderson was the CEO of Apontador, the leading local search and geolocation company in Brazil. Prior to Apontador, Anderson was an Investment Principal at Naspers/MIH, in charge of starting their Internet presence in Latin America. At Nasper Anderson invested and acted as executive in leading companies like BuscaPe and Movile. Before that he was an investment officer at Eccelera, a local venture capital fund. Earlier in his career, he worked as a tech entrepreneur and software developer both in Brazil and Switzerland. Anderson is also a volunteer Venture Corp mentor at Endeavor since 2003. J.Thelander Consulting is headed by Jody K. Thelander, a compensation executive with more than twenty years of professional experience. Jody has a keen understanding of business through a diversified background in compensation, sales and customer service. The Thelander Surveys and Reports have become a well-respected and highly desired tool for compensation decision-makers in the private business sector. Jody speaks publicly on executive compensation, investment firm and corporate venture compensation topics, including events hosted by BayBio, BioHouston, Global Corporate Venturing, IBF, National Venture Capital Association, JPMorgan, Private Equity International and Stanford. Jody earned a Bachelor of Science degree in Consumer Studies at the University of Vermont and a Masters Degree in Human Resources at Marymount University. Her career began in the fashion retailing industry with British Vogue, Ralph Lauren Womenswear, Bonwit Teller and Garfinkels in London, New York and Washington, DC. Jody also spent ten years in human resources with TRW Space and Defense both in Washington DC, and San Francisco, before starting her own firm. Jody serves as a sustaining member of the Auxiliary Board for the San Francisco Ballet and the Modern Art Council of the San Francisco Museum of Modern Art. She is the past chair of the Silicon Valley Leadership Committee for the American Diabetes Association. 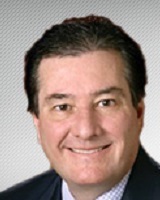 Donato J. Tramuto, Founder, CEO, and Chairman of Physicians Interactive, has 35 years of healthcare experience in both the product and service segments. 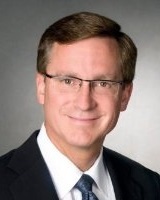 Previously, he was President of Allscripts and CEO of i3—a global pharmaceutical services company, formerly part of Ingenix (a UnitedHealth Group company)—overseeing the Clinical Research, Pharmaceutical Data, Analytics, Outcomes, EPI/Safety, CME, Health Education, and Strategic Consulting business units. 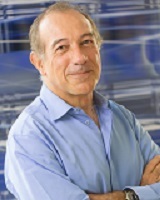 Prior to joining UnitedHealth Group, Mr. Tramuto was one of the founders of Protocare, Inc., a large provider of drug development and disease management services, where he served as Chief Executive and President of the Protocare Sciences Division and Corporate Officer of Protocare from 1998 until its successful sale in 2002. Prior to cofounding Protocare, Mr. Tramuto was General Manager/President of the Home Healthcare business and Corporate Vice President of Marketing at Caremark, where he championed the development of the company’s national disease management program for HIV/AIDS. He started his healthcare career at Boehringer-Ingelheim Pharmaceuticals. Mr. Tramuto is the Chairman and Founder of the Tramuto Foundation, a nonprofit organization, created in 2001, to help young individuals achieve their educational goals. The Tramuto Foundation has also supported more than 50 organizations worldwide. In 2011, following the devastating effects from the earthquake in Haiti, he founded Health eVillages, a program now residing at the Robert F. Kennedy Center for Human Rights and funded through Physicians Interactive. Health eVillages provides state-of-the-art mobile health technology including medical reference and clinical decision support resources for medical professionals in some of the most challenging clinical environments around the world. Through his leadership efforts, infant mortality in the village of Lwala (East Africa) has declined from 100 to 35 deaths per 1,000 births. Mr. Tramuto was honored in December of 2014, along with Hillary Clinton, Robert De Niro, and Tony Bennett, with the prestigious Robert F. Kennedy Ripple of Hope Award. The award lauds leaders of the entertainment, business, and activist communities who demonstrate commitment to social change. Jonathan is venture director at Castrol innoVentures, the innovation and investment team from BP’s lubricants business. 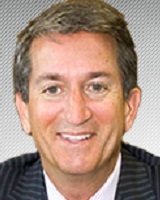 He has been in business development roles within corporate venturing and venture investment since the late 1990s. He has held board directorships in several private companies and has been an advisor to a number of technology focused venture capital funds in Europe, US and Israel. Jonathan’s technical training is in Chemistry with a D.Phil from Oxford University. George Ugras is a Partner at Frost Data Capital (FDC). FDC is a foundry of innovative companies applying big data tools in Healthcare, Finance and the Industrial Internet working closely with corporate partners. FDC was recently named one of the world’s top 10 most innovative companies in big data. In this role he works closely with corporates to codify their strategic needs and helps build companies that meet these needs. He was the CEO and is currently Chairman of Twelvefold, a big data company in the marketing analytics sector. Prior to FDC he was a partner at ACM, a US based venture capital firm specializing in early-stage applied technology investments. Established in 1994, ACM manages $815 million across four funds. He started his venture career at Apax Partners which is a leading private equity fund with $35 Billion under management. Prior to joining Apax Partners, he was a Management Consultant at McKinsey & Co. in New York City, focused on strategic and operational issues for Fortune 500 media and technology clients. He is the founder of CyteGen, a start-up focused on finding a cure for neurodegenerative and metabolic diseases and is an advisor to several private companies. George got his Ph.D. in Physics at Yale University and was a Research Fellow at the California Institute of Technology. He is currently on the visiting committee at NASA’s Jet Propulsion Labs at Caltech. Wal is a 35 year energy industry veteran, including 20 years working with startup companies and 13 years in venture capital with Chrysalix. He is responsible for the overall strategy and leadership of the firm, as well as fund raising and strategic partnerships with leading financial and industrial companies worldwide. Wal has a significant track record as a VC and has had hands-on involvement in dozens of innovation companies. Between Chrysalix and its 15 portfolio companies, Wal has been involved in raising more than $1 billion for early stage technology ventures. Prior to founding Chrysalix, Wal spent several years as the Vice President of Strategic Planning at Westcoast Energy, which he helped sell to Duke Energy. He also advised energy, chemicals and financial services blue chip companies on innovation and change management while working as a management consultant with McKinsey & Company. 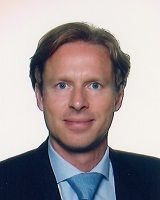 Before officially joining the corporate world, Wal worked for almost a decade as an Associate Professor at the Vrije Universiteit Amsterdam, where he holds a PhD in Economics, doing research in economics and econometrics, and consulting with businesses, governments and major international institutions including the World Bank and European Union. He also has an extensive teaching background in venture capital and entrepreneurial finance both in North American and Europe. Tzahi (Zack) Weisfeld is among the 10 top Most Influential Israelis In Tech Worldwide (Business Insider May 2014). A serial entrepreneur, investor and seasoned executive with 20+ years of experience in tech consumer and enterprise markets. Zack is the general manager of Microsoft Ventures global accelerator program (Bangalore, Beijing, Tel-Aviv, Berlin, London, Paris and Seattle). Prior to Microsoft Ventures co-founded few startups, Sequoia backed Mintigo, Vice President of Marketing & Strategy at modu, the Israeli personal communications startup. (IP Sold to Google Corp.) Before that, Mr. Weisfeld held the position of Sr. Director of Business Management at Microsoft Corp. Prior to his period at Microsoft, Mr. Weisfeld was the General Manager Americas and Corporate Vice President for the Mobile Market at msystems (NSDQ: FLSH), which was acquired by SanDisk Corp (NSDQ: SNDK) for 1.6B at the end of 2006. 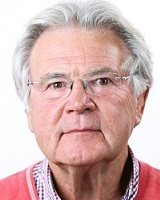 Tom Whitehouse is founder and chairman of the London Environmental Investment Forum, an advisory business that convenes and connects new environmental technologies and technologists with the right investment capital and corporate partners. 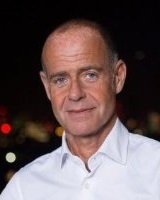 He writes ‘The Clean Deal’, a monthly column in Global Corporate Venturing. Before working in the environmental technology sector, Tom was a foreign correspondent. From 1997-1999 he was Moscow correspondent for The Guardian and from 1991-1997 he was a reporter for the BBC World Service, based in Prague and Moscow.! Roy Williamson heads up Castrol innoVentures, a division of BP’s Castrol Lubricants business which focusses on step out innovation and business development and uses corporate venturing as a core tool. He began his career in Finance in Unilever after a degree in Business at Heriot-Watt University. He quickly moved across to Marketing at Unilever and held several senior Marketing and general management roles internationally before moving to BP as Marketing Director for Castrol in Europe in 2002. From there he took on a global role as Head of Castrol’s Automotive Marketing and 3 years ago founded Castrol innoVentures. His outside interests include a role as an external member of Roche Genetec’s innovation Advisory Board and he holds several Board seats in portfolio companies as part his role in Castrol innoVentures. 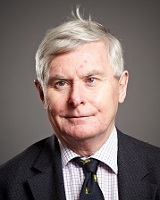 Professor John Wood CBE, FREng is the Secretary-General of the Association of Commonwealth Universities and visiting professor of materials at Imperial College London and nanotechnology at UCL. Apart from academic appointments at the Open, Nottingham Universities and imperial College he was chief executive of the Council for the Central Laboratories of the Research Councils 2001-7 where he was responsible for setting up the Rainbow Seed Fund to invest in new technology start -ups. As an academic he has consulted for several major companies and is now Chair of Research Information Network, INASP and director of M4 Technologies, Bio-nano Consulting, and CRAC. He is also a consultant to many governments and research funding institutions. 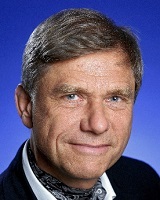 He was a founder member of the European Strategy Forum for Research Infrastructures and became chair in 2004 responsible for the first European roadmap. 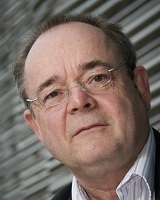 He chaired the European Research Area Board in 2008-11 and remains a member of the European Research and Innovation Research Area board focusing on Open Science leading to Open Innovation. He chaired the Commission’s High Level Group on the future of Scientific Data resulting in the “Riding the Wave” and “Harvesting the Data” reports. He is co-chair of the Global Research Data Alliance and chair of the European RDA..
CEO and Chairman, Targeted Growth Inc.
Jack heads up the Qualcomm Life Fund at Qualcomm Ventures (QCV) ranked as the most prolific investors in the digital health sector for the past 3 years. He is also a General Partner at dRx Capital AG, a Novartis and Qualcomm joint investment company. Jack’s current managed digital health investments include: Airstrip, AliveCor, ClearCare, Fitbit, goBalto, Telcare and Welltok. 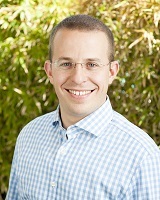 In addition, he also manages QCV’s mobile technology investments at Jana, Argyle Data, and Visage Mobile. Prior investments include: Validity (acquired by Synaptics). Prior to becoming a venture investor, Jack was EVP and US Country Manager at ZTE who helped establish the company’s US market presence. He was a sales and marketing executive at Nokia following the acquisition of Amber Networks where he was founding AVP of marketing. Early in his career, he held marketing and business development positions at 3Com, GDC, and Nortel. 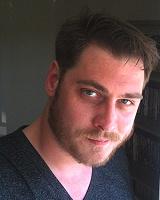 Jack earned a MSEE from University of Calgary and a MBA from McGill University. Biography for Bob Ackerman is coming soon.